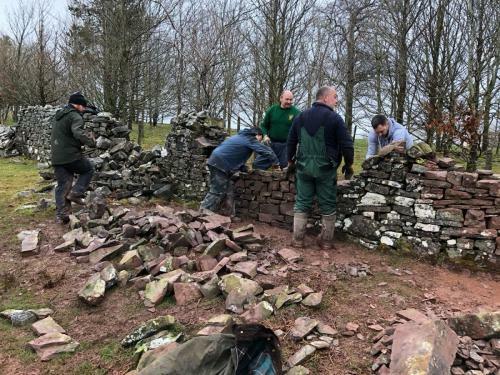 On the 7-8th April 2018 DSWA Wales held a small course and members weekend on a new section of Wall at Libanus. 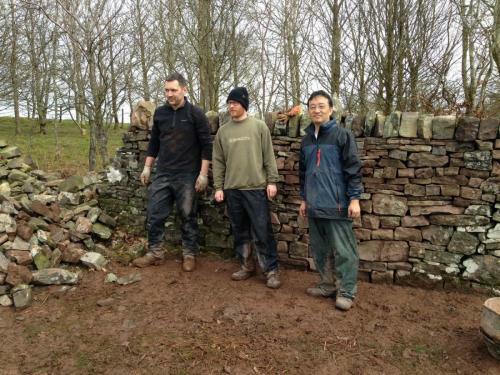 The course was small but unusual in that we were visited by Takaaki from Japan. 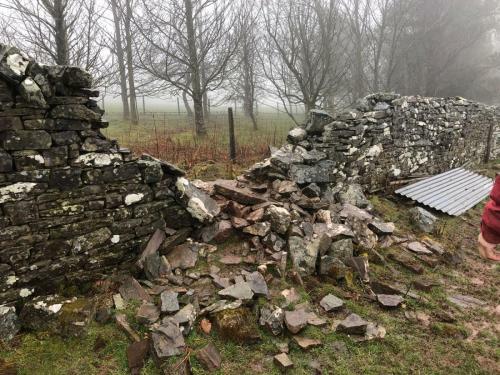 Once again ‘Y Bannau Brycheiniog’ (Brecon Beacons) did not let us down and we were greeted with horizontal rain on the Saturday. Nine branch members turned out to help with the wall. 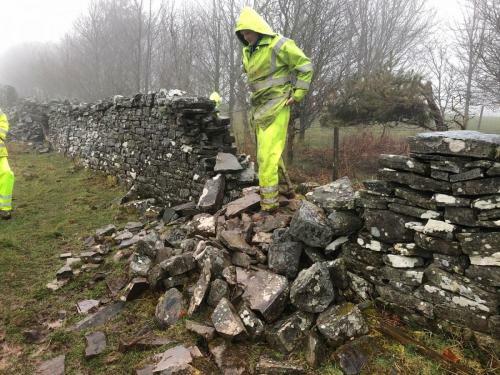 Despite the pictures the conditions were not that bad and as usual it was jackets on jackets off through most of the weekend. It was however very wet underfoot and a pair of wellies had to be found for someone who forgot theirs. 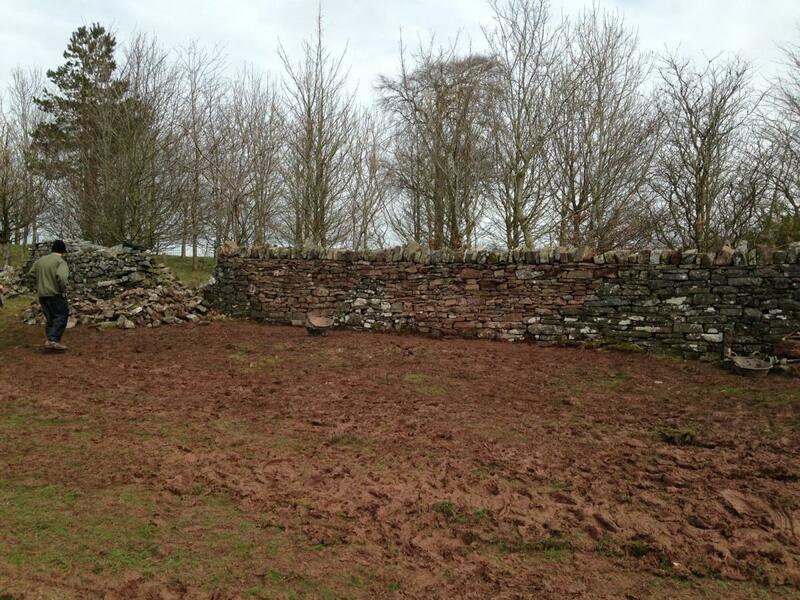 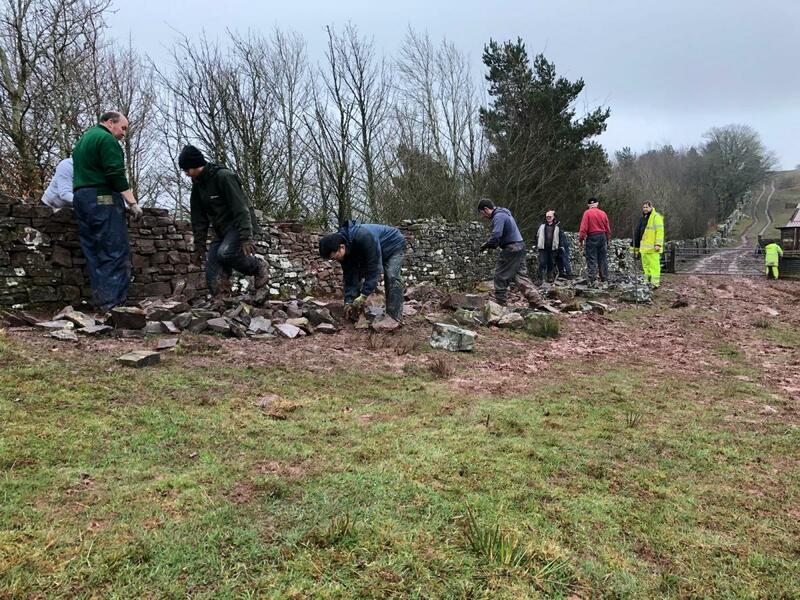 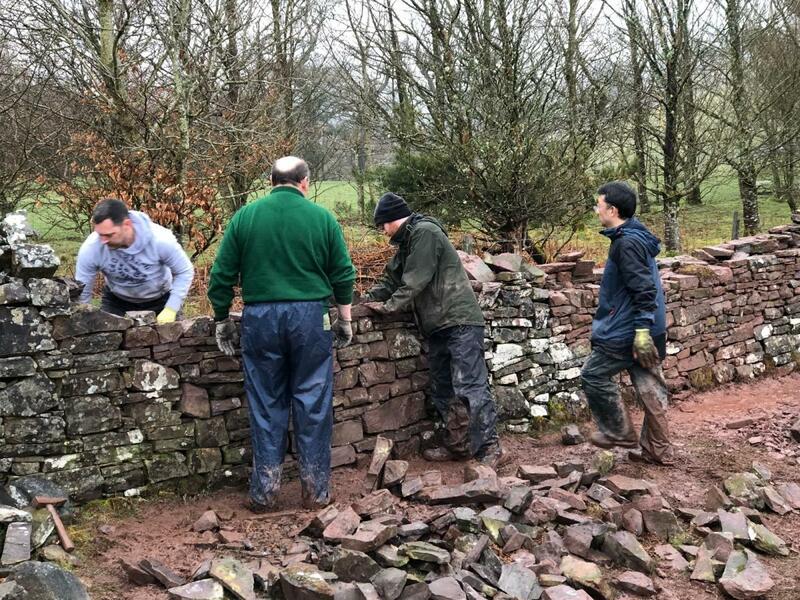 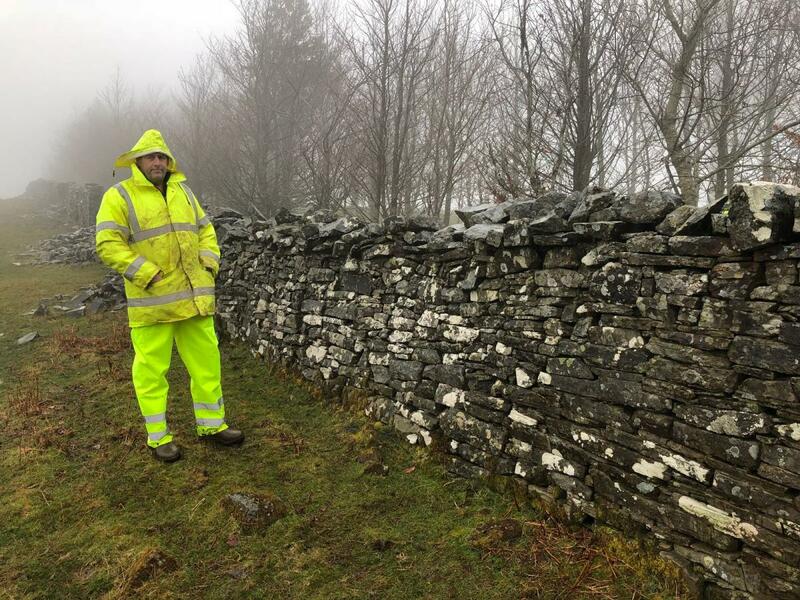 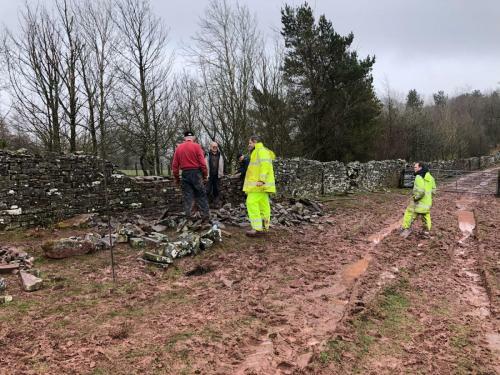 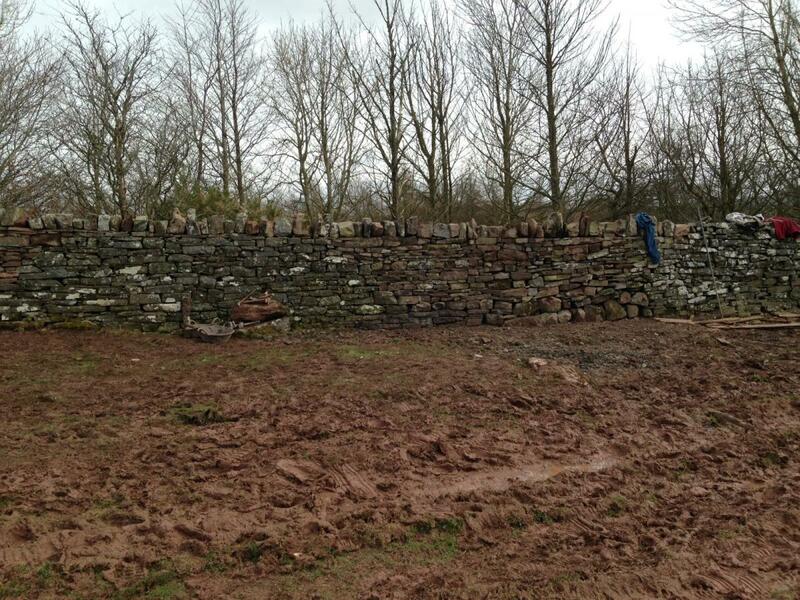 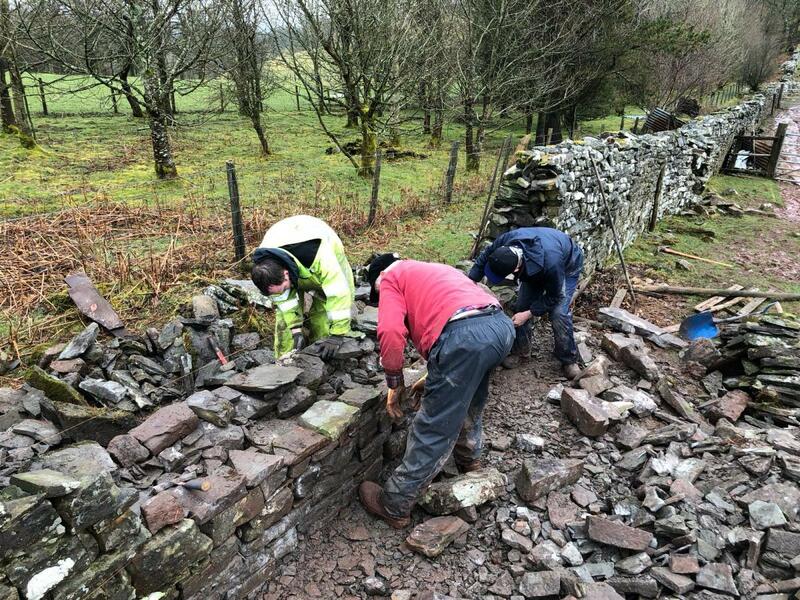 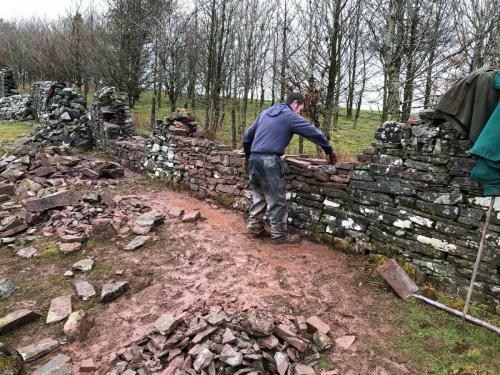 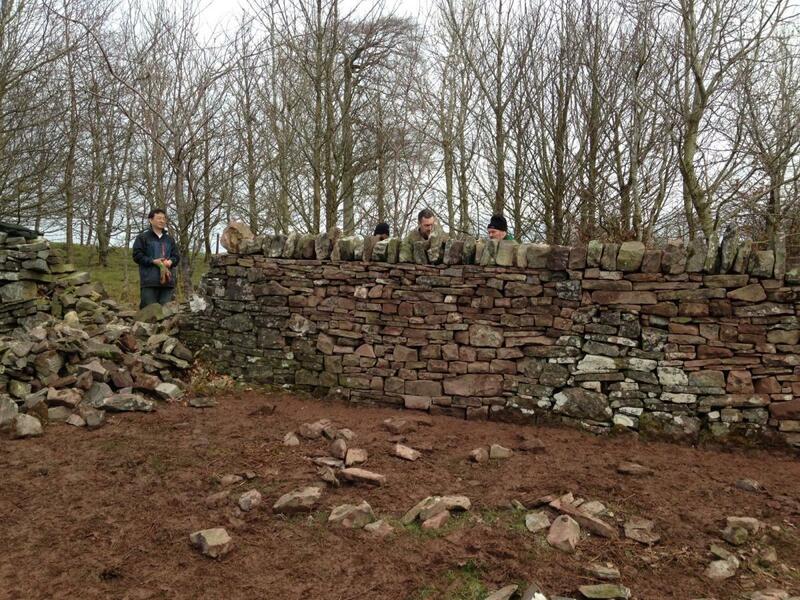 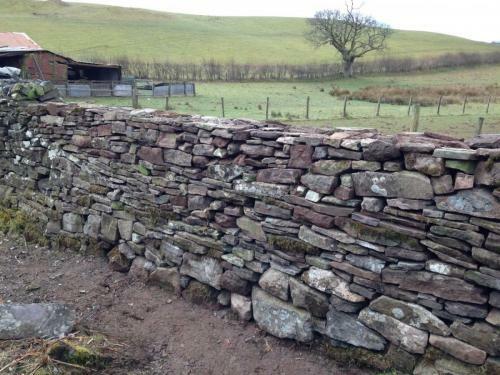 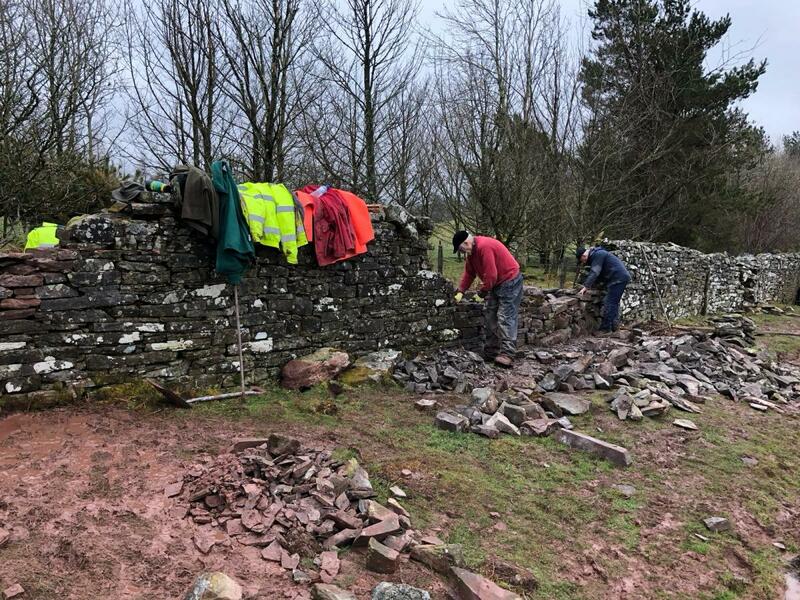 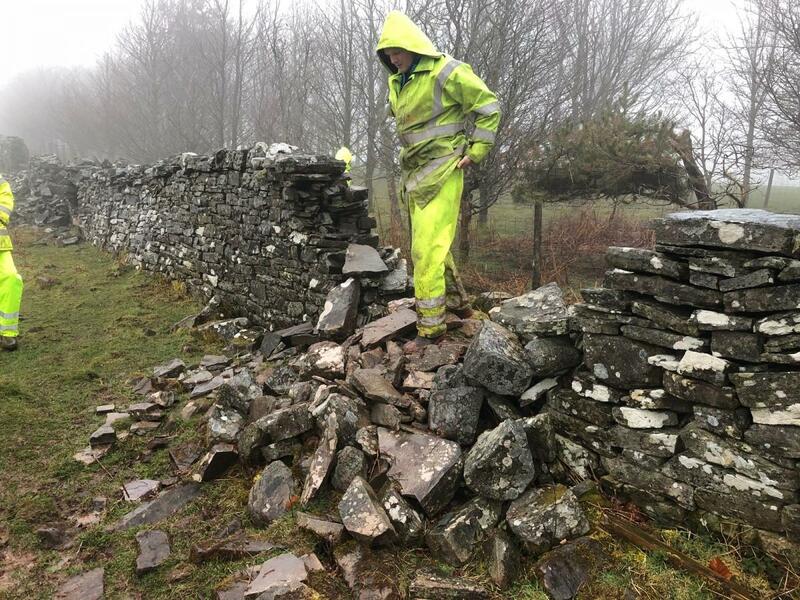 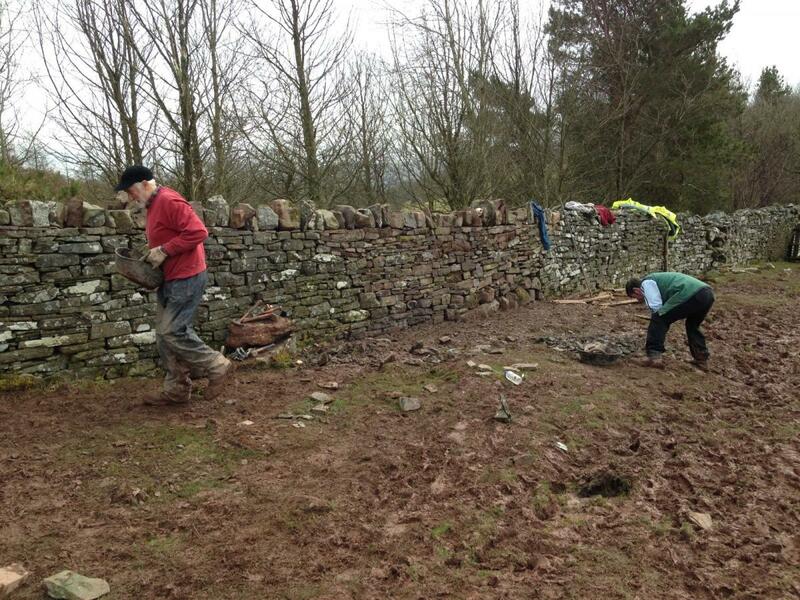 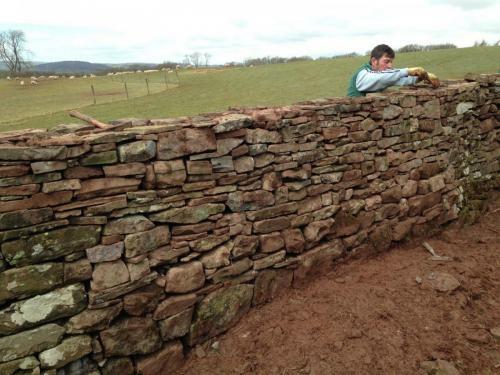 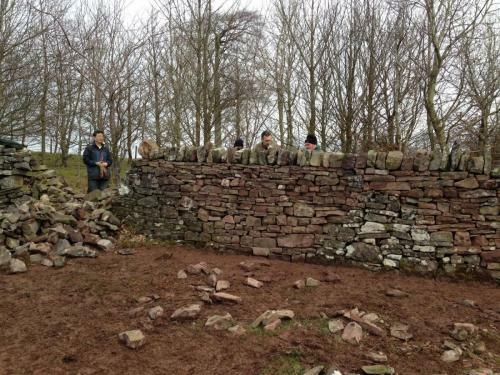 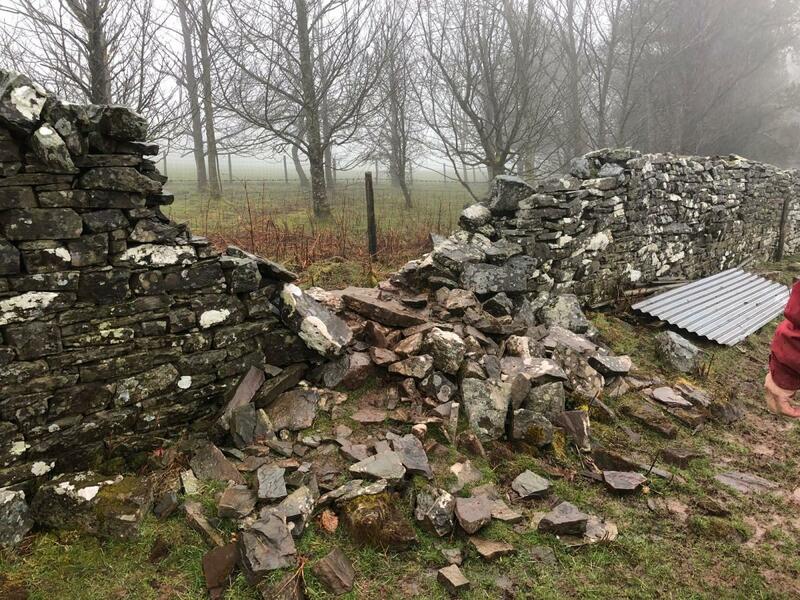 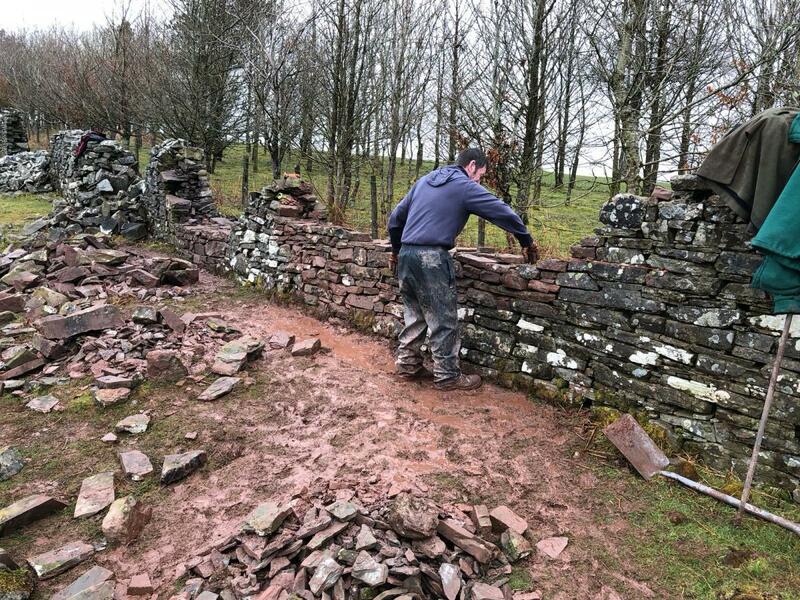 A total of 25m of wall was completed on the weekend and three happy trainees departed with several technical and traditional dry stone walling handbooks under arm.